In this video we will discuss why you should use mobile marketing. You will also learn the tools and concepts you should understand before jumping into mobile marketing and much much more. You will also get a quick overview of what well be discussing in this video series. Before you jump two feet into Mobile Marketing, there are a few dos and donts you need to watch out for. Especially the donts, because you cannot just start adding peoples mobile phones without their permission. The last thing you want is to be sued or tracked down because something you did; and you did not know it was illegal. While we always recommend that you talk to a lawyer, you will learn a few tips that will give you a good head start. Now that you know the DOs and DONTs from Video #2, you need to start gathering your list of leads. You will need this in order to complete video #4 and 5. 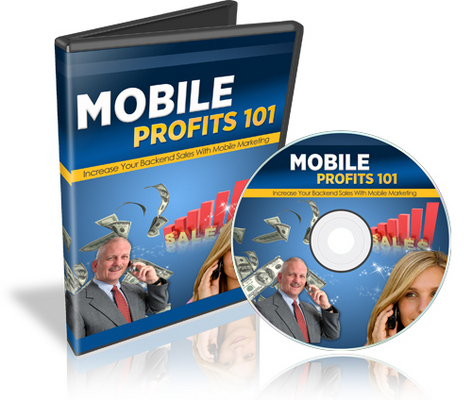 Most of you should already have this if you want to use mobile marketing as a means to strengthen your business relationship with your customer base, however if you dont, I will show you how to gather them legally. Thses has some branding in it.